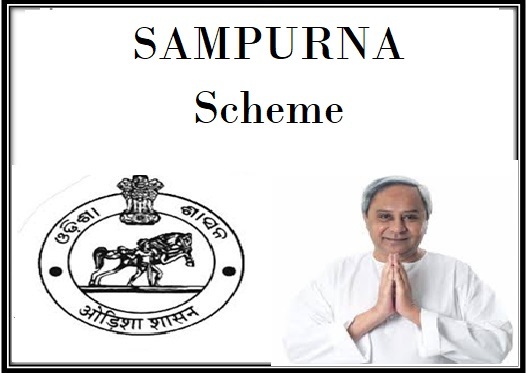 The Odisha Government introduced the SAMPURNA scheme (Sishu Abond Matru Mrityuhara Purna Narakaran Abhiyan) to provide with medical care facility for both expected mother’s and girl child with financial assistance so they reach hospital on time for delivery. Under the new scheme the state government has announced the benefit of the scheme will directly be provided to the pregnant women of the state who stay in remote places where no facility for ambulance is available. This means that eligible areas within the state shall be those that are not able to access ambulance services for pregnant women and are not listed for 102 / 108 services. To take the benefit of the scheme the pregnant women should have to make their own arrangement to reach the hospital at the time of delivery. The state government will provide with financial assistance of Rs 1000 as transportation incentive to help patients reach on time to the hospital safely. The assistance offered to the women shall be in the form of the cost of transportation from the patients home to hospital. Under the new scheme the state government aims a regulating and lowering the Mortality rate for Infants (IMR). The state government will also try and lower the mortality rate of the pregnant women in the state (MMR) that in general occurs due to complications at the time of delivery. The state government has also announced the launch of the new scheme for pregnant women after observing a number of incidences in the state where pregnant women were carried to the hospitals prior to delivery on cots of shoulders of their family members. The state government has already announced that the benefit will only be offered to the women who live in areas where the access of four wheeler vehicles or ambulance services are not available. Under the scheme the state government aims at covering over 7853 different villages from thirty different districts within the state. The state government aims at offering benefit to over 60,000 women living in remote areas. The state government also aims at integrating the services offered by Asha workers to the scheme for lowering the MMR and IMR rate. With the implementation of the new scheme along with pregnant women over 47,000 Asha workers within the state will also be benefitted. According to the state government it is certain that the family members of the patient can submit the filled application form at the hospital to admit the pregnant women. The incentive amount will directly be transferred to the patients bank account via DBT payment options. The state government of Odisha has also announced the set budget of Rs. 398.29 that the state government will be investing for the year 2019-20 in the implementation of the scheme in over 30 districts and 7853 remote villages in the state. The state government has been observing a number of incidents occurring in the past years on account of pregnant women who are being carried to the hospital for delivery on cots, beds or even on shoulders. In some cases it was also observed that few women had to walk their way to the hospital at the time of delivery due to lack of transportation or ambulance services in their areas. With the implementation of the incentive scheme the family members of these women will take an initiative of hiring private transport system to carry the pregnant women to the hospital to reach on time for delivery. Now with the latest report surfacing in, it is already clear that the finance minister, Shashi Bhusan Behera, tabled the initial supplementary budget of around Rs. 12790 crores on Wednesday for the years 2018-19. Moreover, Beheraalso made the announcement of Rs. 25 crores under the scheme which will help the pregnant women to provide financial assistance in Odisha.